When I was in college in Baltimore Maryland I would eat crabcakes every chance I had. So it was only natural I had to learn how to make them. One of my very very favorites and someday I will get them right. Carefully remove all cartilage from crabmeat. In a bowl, mix together egg, mayonnaise, seafood seasoning, Worcestershire sauce, dry mustard and bread crumbs. Add crabmeat, mix evenly and gently. Deep fry in oil at 350ºF. for 2-3 minutes until golden brown, or sauté in a frying pan with a little oil for 5 minutes on each side. Made these last night and they were really good. I added a little cayenne pepper and about 1 tsp shredded lemon peel. 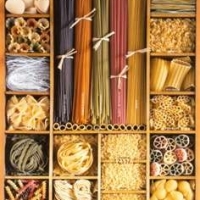 Have just printed this recipe as I'm making this for supper tonite. 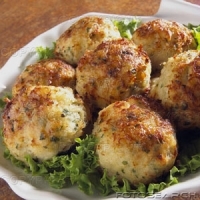 My Mom loves crab cakes...will have to give these a try!